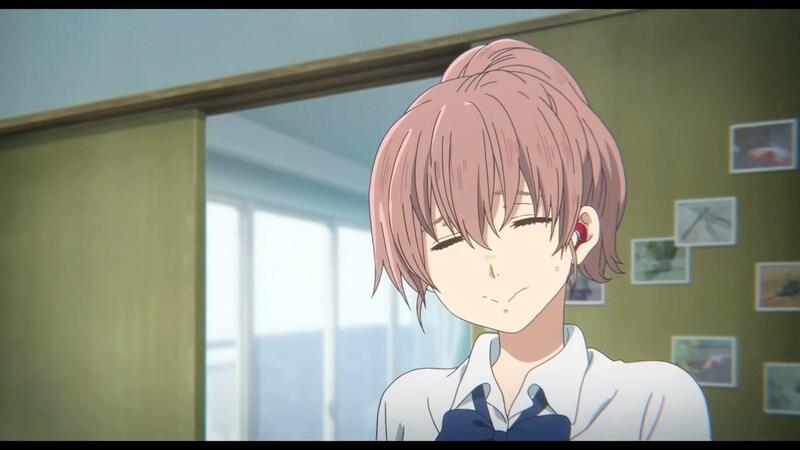 Kyoto Animation’s very own Naoko Yamada attended the screening of her latest film A Silent Voice during the Glasgow Film Festival just yesterday. A Q&A session was held right afterward, and since I was lucky enough to attend here is a transcript of this very interesting event. No spoilers, though those who have seen the film will appreciate some comments a bit more. Disclaimer: As it was being filmed to eventually be included as an extra for presumably a bluray release, no actual recordings were allowed. Thus, this isn’t an exact transcript of the event – wording may differ, but it’s based off the plentiful of notes taken on Yamada’s comments and her interpreter’s so it should all get the meaning across. Do support whatever official release that includes the full event when you get a chance to! Clements: For starters I’d like to ask – how does a film like this end up at Kyoto Animation? Yamada: Well… One of our planning producers wanted KyoAni to produce it no matter what and brought it to us. Personally, when I saw the work was all about people’s hearts, human emotion and kindness I thought it would really fit us. Clements: As a 7 volumes manga, you can’t choose to adapt every event. What particular elements did you want to focus on in your adaptation? Yamada: It was the story of the protagonist Ishida Shouya, that’s what I wanted to tell. Obviously he did something deplorable, but there’s also hope and redemption. Clements: When you handle a work like this and deal with the absence of sound, with deafness, is there any particular approach you have in mind? Yamada: Rather [than worry] I thought I was lucky. The art of animation, if you want to call it that, is great in how it allows us to describe what is actually not there; if there’s no sound, I can express the lack of it through color, vibration, the drawings themselves… So I felt I was really lucky to be able to do this. Clements: I also noticed something that couldn’t work back when it was a manga but does now in anime form [with audio]. You keep putting Shouya in situations where he’s acting as if he also were deaf and unable to speak – in the hospital, when he can’t hear her because of the waterfall… Is that also deliberate? Yamada: Of course, I thought about that. We experience this story from Shouya’s POV and obviously he can hear, but he tries not to listen to people. I think that while they’re very different people, Shouko and him share many traits. She who can’t hear and him who won’t listen are fundamentally different yet very similar. Clements: Is this a love story? Yamada: What do you think? Clements: (laugh) Well I did, both the first time I saw it and the second one today. But I’ve been checking critical reception and comments, and noticed complaints that it’s presented as a romance when it’s not. I’m curious if I’ve just been reading the film wrong. Yamada: Yes there is [romantic] love but it’s not the most important element. 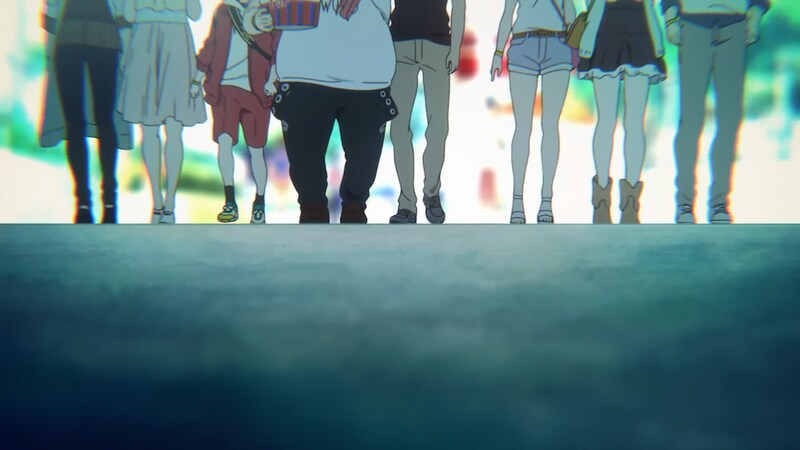 You can simply parse it as a coming of age movie, and love is one of the feelings Shouya experiences. You know, production happened a while ago now so I didn’t quite remember it myself. (laugh) But thinking about it again, yeah, it’s a love story! Clements: Ok ok, a cold it is. Clements: Going back to the critics. When this was screened during Scotland Loves Anime, one of the judges (Miles) said something that stuck with me not only about the film but about Naoko Yamada’s work in general: Nothing is wasted. There is a reason for everything. So I’d like to know – The Who’s My Generation… why [did you use it]? What were you thinking? And I mean this positively! Yamada: Do you want the serious answer? Clements: Yeah, let’s go serious. Yamada: I talked with the sound director [Yota] Tsuruoka and he felt it should be a song everyone can relate to. While I was location-hunting in Gifu I started wondering what Shoya was like at that point: a kid who feels invincible but also deals with perhaps unfounded frustration. This song appeared in my mind with a bang. Clements: You do realize it’s been a licensing nightmare that needs to be cleared in every region. Yamada: When I first requested My Generation by The Who the mood in the room changed and everyone went silent. So yes, I know. Clements: But that’s been sorted out. Back to nothing being wasted. I’ve heard there are many secrets hidden in the film, such as flowers with a hidden intent. Yamada: Yes, there are. People who know flower language will be able to interpret each one’s message and that’s great, but I made it so that even if you don’t you can feel something because of the shot’s layout or the flower’s color. I’m happy to let that audience have their own interpretation. Clements: It’s hard for me to imagine you being a difficult director. Clements: You’re always smiling and friendly, totally unlike certain Japanese directors I could tell you about. How do you see yourself as a director? How would you feel if you looked at yourself working at KyoAni? Yamada: Me looking at myself? I’d think… wow, amazing. I’d be jealous of myself – she gets to use The Who, that’s cool! Clements: What about getting the staff to do their job? Were there days were you felt it was an uphill struggle or was it a constantly happy endeavor? Yamada: I think they’re all very nice, but I’m terrible with words so I tend to express myself with gesticulation, sounds and facial expressions. I think some staff struggle to understand me. But in the end I feel like I got it across very well and that’s great. Clements: Have you considered carrying around a notebook like Shouko in the film? Yamada: Yes, I might have to do that (laugh). –In your previous films K-ON! and Tamako Love Story you started introducing scarce abstract elements to portray the characters’ emotions, but lately in works like Euphonium S2’s concerts and this movie the abstract becomes more commonplace. Is that a direction you plan on following in the future? Yamada: Hmm, abstract. A world where one word is attached to one meaning isn’t what I want to create. Take “love” – there’s not just one significance, I want a world where that love can be expressed in many ways so that the feelings reach the audience. –People always say KyoAni excels at highschool girl characters. Can you share some details as to how you create those girls? Yamada: Hmmm… (laugh) I guess… I like them. I love them. I suppose the answer is through careful observation. Clements: I think a lot of people here observe them carefully. This reminds me of something you said about K-ON!, that you and your staff treated the cast as if they were real people. Like if someone drew a girl’s skirt too short you’d ask why, wouldn’t she get cold? I think this empathy could be the secret. Yamada: Yeah I do look at my characters like people. They’re not drawings but living beings, that is why I’m interested in them to begin with. Clements: Is that a studio practice or your personal view as director? 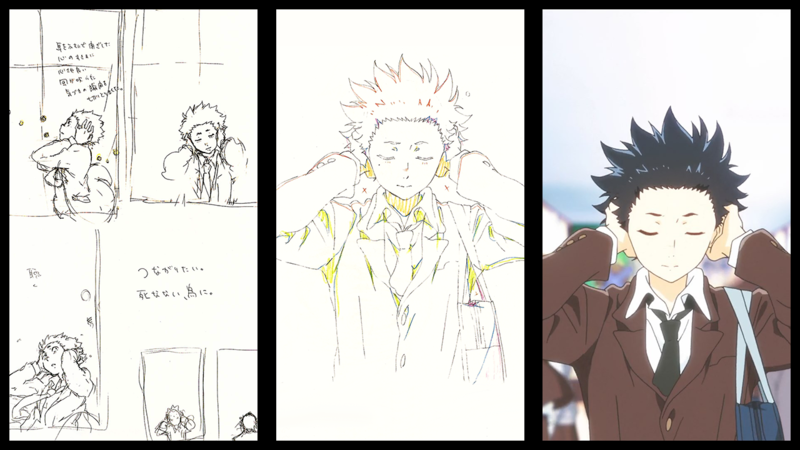 Yamada: That’s how I see it myself, every [series] director at the studio has their own approach. –The scene with in the ferris wheel stood out to me in how it portrayed Ueno’s emotions through the footage of her knees. Did you enjoy the chance to communicate through other means…particularly the lower body. Yamada: I love it (laugh). –What was the part of the film that affected you the most when working on it? Also, thanks for making an amazing movie. Clements: I think you’re not the only one who thought she directed an excellent film (ovation). 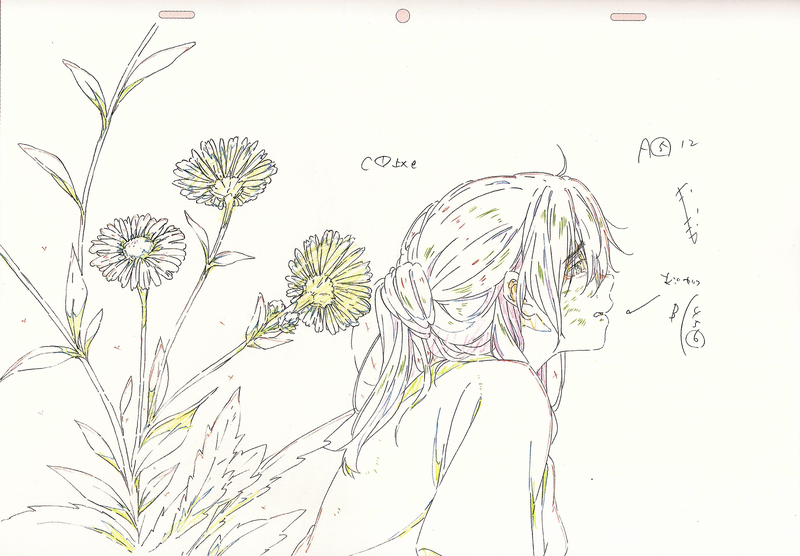 Yamada: When I was drawing the storyboards concerning Shouya mother it was just…. Aaahhhh… Her motherly love made me cry. 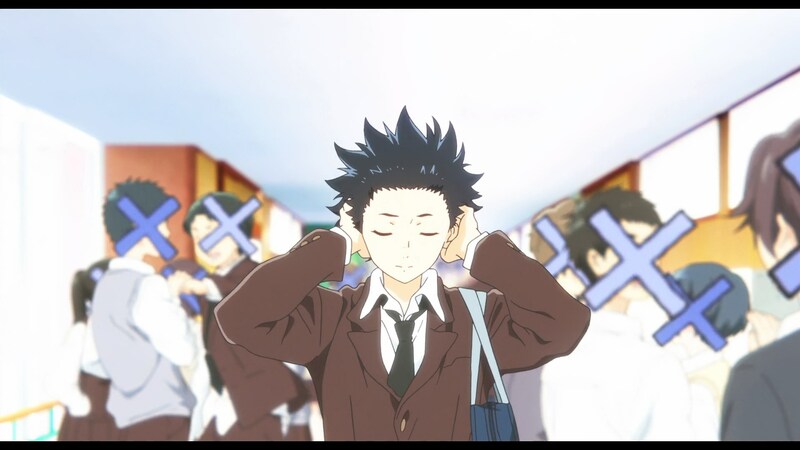 –Quick final question about non-verbal communication in A Silent Voice. Yamada: Yes, I was really interested in non-verbal communication so when this came up I was delighted that I could work on it. Personal comments: A lovely Q&A corner, not so much because of its insightfulness but due to how much fun the director and the audience had with it. It’s obvious Jonathan Clements enjoys Yamada’s work and he understands how to win over the audience. Pretty much everything had either been explicitly answered before or strongly hinted at, but considering the dozens upon dozens of stage events Yamada attended for the film and its well-documented production it’s very hard to find new tidbits. 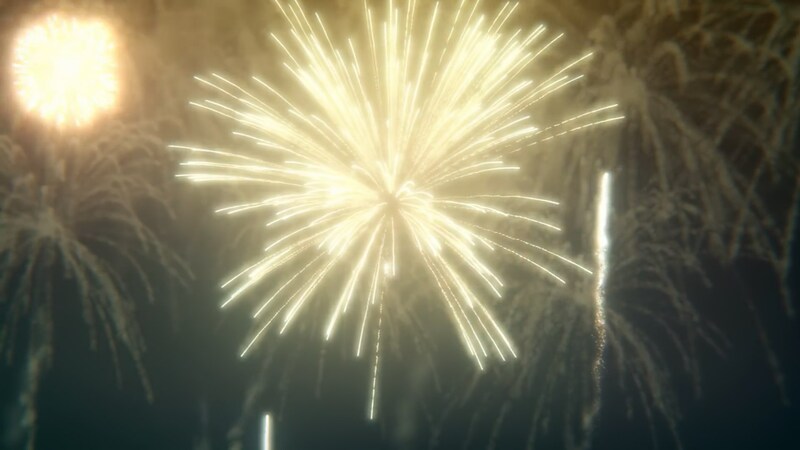 Personally it was satisfying to see multiple things I’ve commented about her work corroborated first-hand, plus interesting additions to them like how A Silent Voice is a love story but not quite a standard romance; people who have seen it will understand why I’ve been saying that the grand finale makes it obvious the focus is Shouya falling in love with the world. Yamada’s struggle to communicate was one of the cornerstones of the long article about her career I wrote, so it was really nice to see her personally bring it up. And as much as she finds it hard to express it with words, seeing her talk about her approach to film-making and her very personal lens to shoot characters is always fantastic. I had already seen footage of her in events so I was aware of this, but I feel like most people were surprised by her demeanor – passionate but awkward, relying a lot on gesticulation and sounds to get things across. Criticism of her work (particularly for projects like K-ON!) paints it as artificial, which sounds rather ridiculous when you see her act like a real life Afternoon Tea Club member. Fan questions fluctuated in quality of course, but even the jokes were lighthearted. Great experience overall! Support us on Patreon for more analysis, translations, staff insight and industry news, and so that we can keep affording the increasing costs of this adventure. That includes expenses such as paying for our staff to take 24 hours trips to another country just so that they can attend short meetings with your favorite anime directors and share the creators’ thoughts. Thanks to everyone who’s allowed us to keep on expanding the site’s scope! OMG this is mad!!! the problems she has with communicating is exactly what I’m experiencing at the moment in art school!! I’m not alone….